Man, oh, man! It’s been a while since I’ve given y’all an update on our home! I hope you don’t mind; it merely means we’ve been being intentional about what we buy, so it’s taking longer to decorate the house than I expected. We’ve been doing little things here and there, and we’ve finally got the office done! I knew when we finished it up that I had to share it with y’all, so here we are! It’s so funny to me to look back at the last Home post and see that I thought the office was already mostly done.. y’all it literally had a desk and a chair in it at that point. 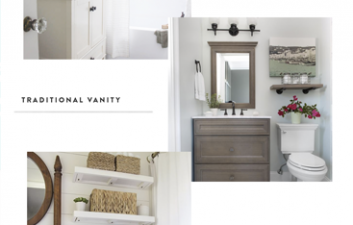 Since then I’ve seen just gorgeous spaces all over the web, and I kept getting more and more ideas for what I wanted to do to spruce it up. 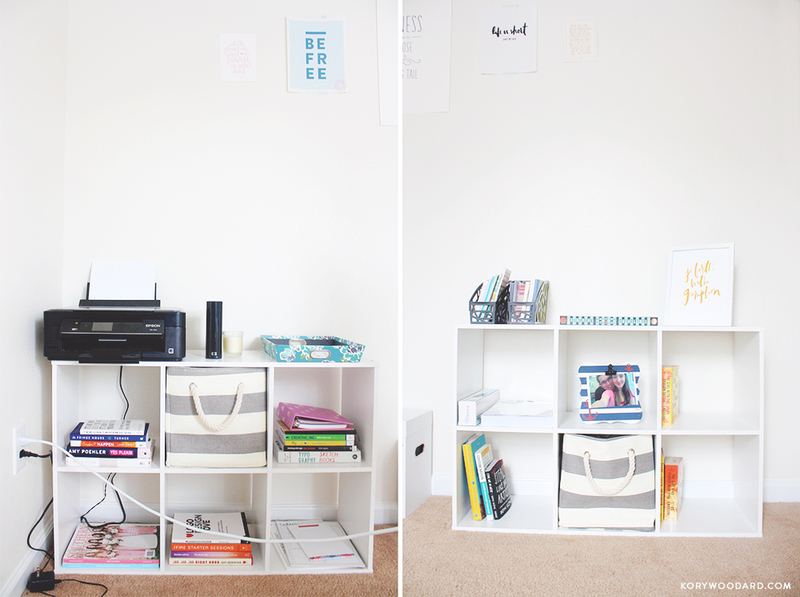 These two bookshelves were the first things added (after the new iMac) earlier this year. I had brought several books from home, and I knew I wanted to fill out the space a bit more with something like these. Ideally I was looking for one that was longer, but I ended up settling with these two pieces. They weren’t super expensive, and I decided to spruce them up with some little cubby boxes. You can’t see a ton, but I’m working on a gallery wall above the bookshelves. I already have five prints up, but I don’t love the layout and I want to add more. If I do anything else to this room, adding and moving things around on that wall will probably be it! The next two things I started working on was a small little pocket of a wall beside the curtain and what to put on the wall behind the desk. (You can see a good shot of both of these spots in the first photo!) I really liked Emily’s photos, and ultimately ended up opting for the same look. We don’t have a ton of pictures of us, and none that are great enough to print large enough. So for now I filled the frames with three simple statements – Be Love. Be Brave. Be Present. To fill the little wall beside the curtain, I grabbed some fun hexagon cork board pieces and painted them. The black ones are painted with chalkboard paint; I haven’t figured out quite what I want to write on them yet, though. We finished the space with simple white curtains, which I was so proud to have hung myself one day while the hubs was at school (along with the three picture frames). The windows came with blinds in them, so I close them at night, but to max out on the natural light while I’m working during the day, I just open them all the way up. Zoey likes that because she can jump her front paws up and see what’s going on outside. I’ll admit: my office is a little messy. My desk has tons of stuff on it. My bookshelves aren’t perfectly styled with gorgeous, expensive pieces. I don’t have all of the best prints from all of the popular designers. I don’t even work in my office five days a week (sometimes, we just hang on the couch). 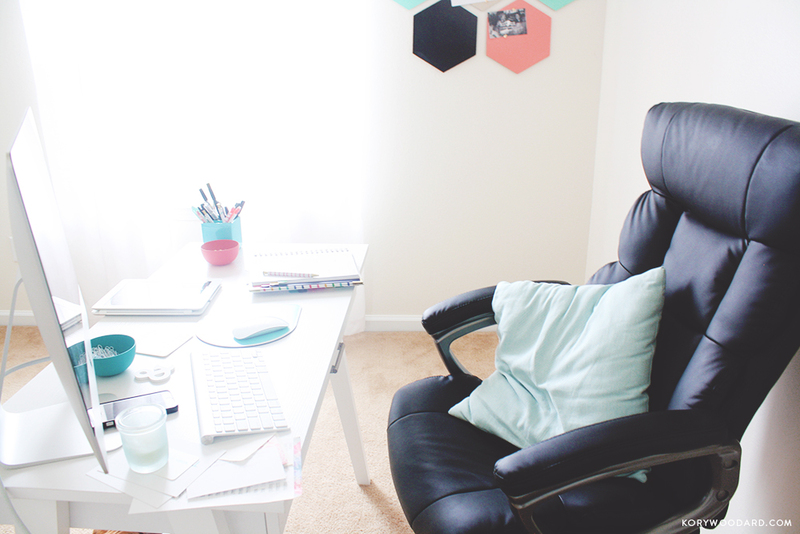 However, I really love this little space. It’s got the perfect amount of natural light, and everything I need to get things done (including a little puppy who likes to lay in my lap while I work). Anyway, we’ve got the guest bathroom done as well, I just need to figure out how to get some good pictures in there with no natural light, and I’ll be sharing it soon as well. Then, we’re onto our living / dining room! Hopefully I’ll have more to share of our home before summer really gets going! It looks so light and bright! I love it. My husband works from home, so my “office” is just a desk in his messy office. I have my own little nook and I hang inspiring photos above it. I don’t spend all day in there, so when I am working, I’m all business. I think it would be different if I had to sit at my desk all day long, though. I’d definitely want a pretty room like yours. Love all of that natural light!! It’s perfect. I’m still trying to put the finishing touches on my little space, but I think simple is the way to go. Thanks for sharing!! Definitely agree that simple is the way to go. When you’re working from home too much clutter or too many things will just keep you from working. Very clean and minimal, looks awesome. What do the prints in the picture frames say? Thanks, Colin! They say: Be Love, Be Brave, Be Present! I just love this room Kory! I love how you’ve placed everything. I love the simplicity of it and the colors you chose. Beautiful! 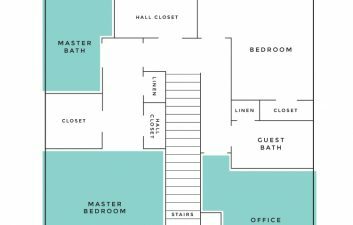 I know that when I get the chance to decorate my office (of course when my husband and I purchase our first home, I’ll never be quite satisfied with the layout of it. Great post! Can’t wait to see the rest of your place! Love the office! 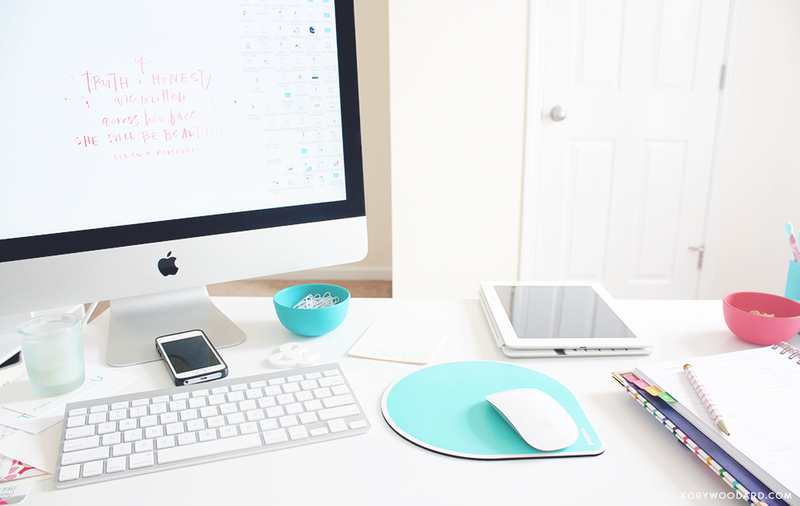 Looks very organized to me still, I think having a few things on your desk make it easier to work. Thanks, Naomi! Mostly my bookshelves look messy, but I guess they always will as long as there are actual things on them, haha! Haha yes! And we all need our things so as long as it looks organized to you! 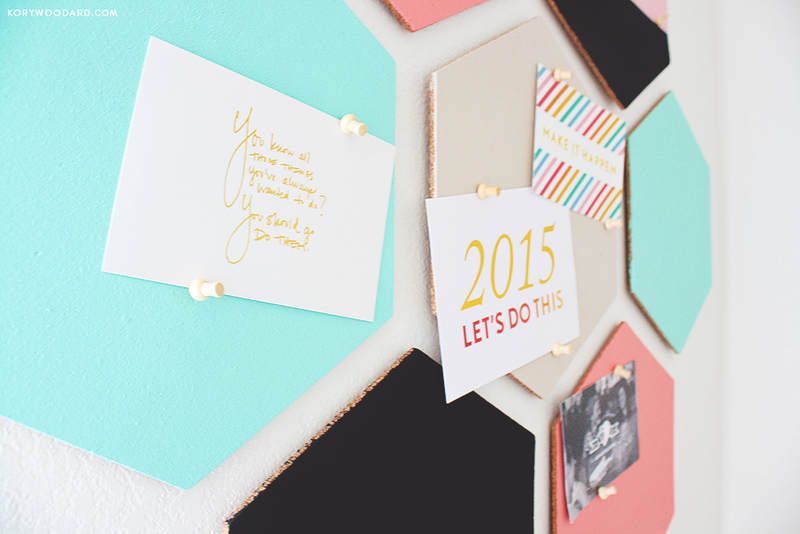 Kory, I absolutely adore your hexagon pin boards! 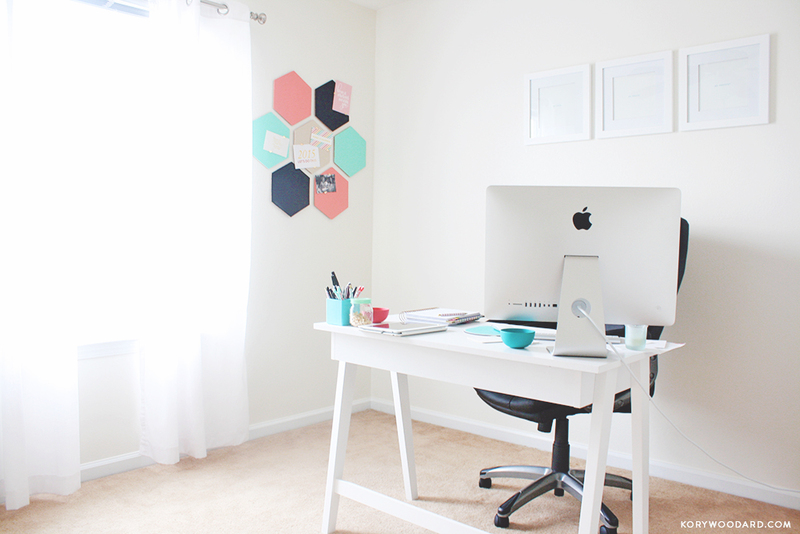 It adds the perfect amount of color in a bright office space. Looking forward to see how you decorate the rest of your home! Hi Kory! 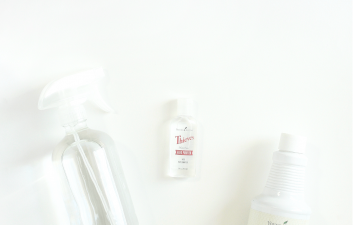 I’m loving checking out your site and blog posts!! I love the clean, crisp look of your space with pops of color! I too am decorating a new place, and it feels like it is going to take forever to get it just right. I love the realness you included in this post, noting how you may not have the post expensive designer prints, etc… your space is original and I love that I’m not just seeing repeats of the same prints and trinkets filling home tours all over the web. Can’t wait to see the rest! I’m a mama, wife, dog and nature lover. I live for a warm chai latte in the mornings, reading before bed at night, and loving life with my family every second in between.